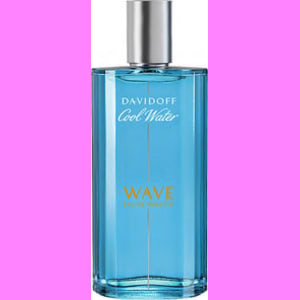 Davidoff Cool Water Wave Eau De Toilette for Him from The Perfume Shop. vetica, sans-serif;font-size: 28px;font-weight: 300;text-align: center;line-height: 100%;.pdpContentContainer h3font-family: 'Futura', Open Sans, Arial, Helvetica, sans-serif;font-size: 22px;color: #000000;font-weight: 300;text-align: center;.pdpContentContainer h4font-family: 'Futura Medium', Open Sans, Arial, Helvetica, sans-serif;font-size: 20px;font-weight: 300;text-align: center;.pdpContentContainer h4 spancolor: #FFAABB;font-size: 50px;display: block;padding-top: 5px;.pdpContentContainer h5font-family: 'Futura Light', Open Sans, Arial, Helvetica, sans-serif;font-size: 25px;font-weight: 300;text-align: center;margin-bottom: -22px;padding-top: 60px;.pdpSectionclear: both;padding: 1% 0;margin: 0px;.pdpContentContainerwidth: 100%;max-width: 620px;margin: auto;padding: 5% 0;margin-top: -2%; padding-top: 0%;.pdpContentContainer pfont-family: 'Futura Light', Open Sans, Arial, Helvetica, sans-serif;font-size: 16px;line-height: 20px;padding-left: 40px;padding-right: 40px;.pdpContentContainer p spanfont-family: 'Futura Medium', Open Sans, Arial, Helvetica, sans-serif;font-weight: bold;#twoColumnText, #twoColumnImage#imageWithTextposition: relative;#imageWithText div:nth-child(2)bottom: 0;right: 0;#fullImage imgwidth: 100%;#fullImageReduced .span_6_of_6position: relative;text-align: center;color: #FFFFFF;.fullImageHeaderposition: absolute; top: 28%; left: 50%; transform: translate(-50%, -50%);font-family: 'Futura Light', Open Sans, Arial, Helvetica, sans-serif;font-size: 35px;font-weight: 300;line-height: 100%;.fullImageTextposition: absolute; top: 60%; left: 50%; transform: translate(-50%, -50%);font-family: 'Futura Light', Open Sans, Arial, Helvetica, sans-serif;font-size: 16px;line-height: 20px;#fullImageReduced imgwidth: 85%;#imageWithText imgwidth: 100%;#imageWithText ptext-align: center ;padding-left: 15px;padding-right: 15px;#imageWithText h2text-align: left ;padding-top: 10px;padding-left: 15px;padding-right: 15px;#twoColumnImage imgwidth: 100%;#dividerLineborder-bottom: 1px solid #f4d9df;#pdpSpacerpadding: 7px;.pdpContentContainer iframewidth: 100%;#threeColumnImage ptext-align: center;font-family: 'Futura Light', Open Sans, Arial, Helvetica, sans-serif;font-size: 16px;line-height: 20px; margin-top: 7%; margin-bottom: -5%;padding-left: 30px;padding-right: 30px;#pdpQuote pfont-style: italic;color: #979797;#imageRightWithText ppadding-top: 20%;lifont-family: arial;font-size: 13px;line-height: 18px;/* COLUMN SETUP */.coldisplay: block;float:left;margin: 1% 0 1% 1.6%;.col:first-childmargin-left: 0;/* GROUPING */.group:before,.group:aftercontent:; display:table;.group:afterclear:both;.groupzoom:1; /* For IE 6/7 *//* GRID OF SIX */.span_6_of_6width: 100%;.span_5_of_6width: 83.06%;.span_4_of_6width: 66.13%;.span_3_of_6width: 49.2%;.span_2_of_6width: 32.26%;.span_1_of_6width: 15.33%;/* GO FULL WIDTH BELOW 480 PIXELS */@media only screen and (max-width: 480px).colmargin: 1% 0 1% 0%;.span_1_of_6, .span_2_of_6, .span_3_of_6, .span_4_of_6, .span_5_of_6, .span_6_of_6width: 100%; margin: 20 auto; text-align: center;#twoColumnImage .span_3_of_6width: 45%;padding-left: 10px;/*margin: auto;*/#twoColumnImage .span_3_of_6:nth-child(2)/*padding-left: 10px;*/#imageWithText div:nth-child(2)position: relative;bottom: 0;right: 0;#threeColumnImage .span_2_of_6width: 30%;#threeColumnImage .span_2_of_6:nth-child(2)margin-left: 5%;#threeColumnImage .span_2_of_6:nth-child(3)margin-left: 5%;#imageWithText .span_2_of_6width: 45%;text-align: center;#imageWithText .span_4_of_6width: 40%;text-align: center;#imageWithText h5padding-top: 0px;.pdpContentContainer imgtext-align: center;margin: auto;.pdpContentContainer ptext-align: center;padding-left: 0px;padding-right: 0px;.pdpContentContainer iframewidth: 85%%;height: 350px;.pdpSectionpadding: 0%; DAVIDOFF COOL WATER WAVE MAN EAU DE TOILETTE DAVIDOFF Cool Water Wave Man is an energising scent for men that offers the impression of being plunged straight into the crashing swells of the ocean. 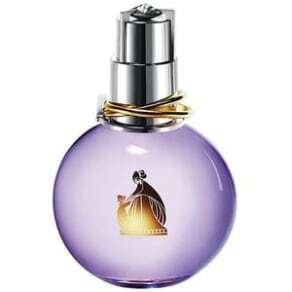 FRESH AQUATIC FRAGRANCE TOP NOTE Marine Splash Accord, Grapefruit, Sichuan Pepper HEART NOTE Birch Leaf Accord, Juniper BASE NOTE Patchouli, Sandalwood To summon the intense rush of a ride on the waves, a trio of renowned perfumersFrancis Kurkdjian, Antoine Lie, and Jean Jacquescollaborated to create a lingering scent that is fresh, modern and invigorating. The fresh aquatic blend inspires the feeling of grabbing your board and running towards the crashing waves of the ocean, with warm and vibrant woods bringing you back down to earth. A bracing surge of energising Marine Splash Accord and Grapefruit notes mingle with stimulating Sichuan Pepper to invoke the impression of the cool spray of a breaking wave. A swell of stunning intensity is then drawn to the surface with the arrival of a vibrant accord of Birch Leaf and Juniper. Beneath it all is a masculine undercurrent of Patchouli and the scent of Sandalwood that bring a touch of sensuality to the aftershave fragrance.